Rs Royal is located at 74, Medicity, Islampur Colony, Sector 38, Gurgaon, few minutes away from Tau Devi Lal Sports Complex. 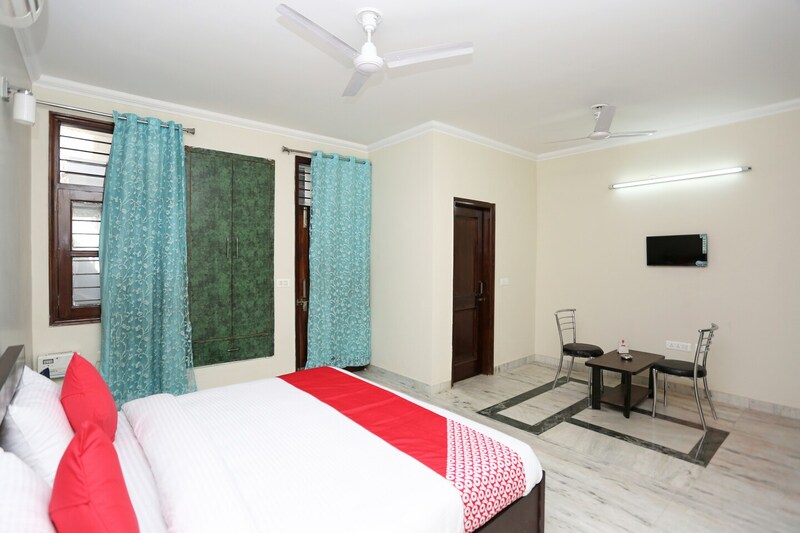 The rooms are spacious enough with marble flooring and spotlessly white painted walls. The rooms are well lit using white light which further makes the room look appealing. The rooms also feature two chairs and a center table as a comfortable seating arrangement for two. The several amenities that the hotel offers include Free Wifi, King Sized Bed, AC, Power backup, Parking Facility, TV, Laundry, and CCTV Cameras. Restaurants like Kabul Palace Restaurant, Hotel Malabar, Bonji By Habit Of Life, Thalassery Restaurant, and The Burgers Nation are located in extreme close vicinity of the hotel.